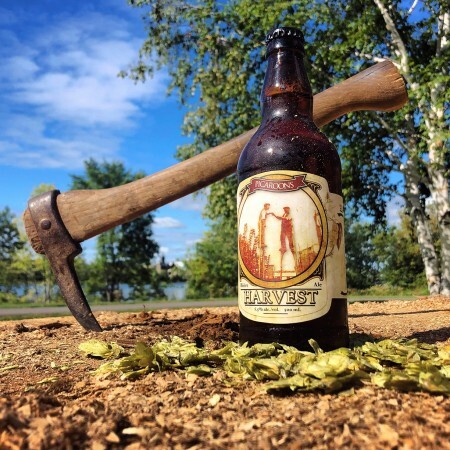 FREDERICTON, NB – Picaroons Traditional Ales has announced the release of the 2018 edition of Picaroons Harvest Ale – or more accurately Harvest Ales, plural, as there are two different versions of this year’s offering to choose from. As in the last few years, multiple batches of the hop-forward amber ale were brewed with Maritime malts, and each with a different variety of freshly picked hops. Batch #710/711 features Centennial hops from Bloomfield Hop Farms, augmented with Chinook, Cascade, Mount Hood, and Brewers Gold from local hops enthusiast Dave Foster. Batch #714/715 was brewed with Goldings hops from Southan Farms, and a proprietary & eponymous variety from Moose Mountain Hop Farms. Both versions are available now at all Picaroons brewery and bar/restaurant locations, and bottles are being distributed this week to ANBL locations throughout the province. For more details, see the full announcement on the Picaroons website.